Rally – Sno*Drift and the 2012 Rally Season Is Upon Us! The Rally America series may no longer have the celebrity competitors like Pastrana and Block, but that hasn’t stopped many MANY others from joining in the fun! The first round of the Rally America six-event national championship takes place in a couple of weeks in the snow and ice of upper Michigan, the Sno*Drift Rally, and there are a record-setting 70 entrants! This has me super-stoked for the Rally in the 100 Acre Wood in February and for the championship in general. I hope they can show the same type of growth throughout all of their national championship events. More good news for rally nuts like us is that this first event under the new ownership will be available to us all LIVE! Stages will be streamed live, and combined with features and interviews, it should make for excellent weekend viewing. This will be the first time that an wire-to-wire streamed event for the Rally America series, and the hopes are to expose the world of rally to a much wider audience. We’ll try to keep up with nightly updates and our thoughts and commentary on the day’s action throughout the event. Below is the official event press release from Rally America. January 13, 2012 (Williston, VT) — The 38th running of the Sno*Drift Rally in Northern Michigan will once again kick-off the six events that comprise the 2012 Rally America National Championship on January 27th and 28th, 2012. Based in Montmorency County, the Sno*Drift Rally is the only snow-covered event where high-powered rally cars will speed, jump, and slide down narrow ice-covered stages! Topping the list of teams is 2010 Rally America National Champions, Antoine L’Estage and Nathalie Richard from Quebec, Canada, piloting what is expected to be a revamped 2010 Mitsubishi Evolution X. L’Estage and Richard finished with a solid 2nd place overall in 2011 and look to keep the pressure on as a favorite to win it all this year. L’Estage’s closest competition is the entry from Vermont SportsCar and Subaru Rally Team USA entry, is expected to field a 2012 Subaru WRX STI for 2011 Rally America National Championship overall winner David Higgins from the Isle of Man – but the official announcement has not yet been made as to who will actually be piloting the Subaru factory-backed machine. The top story from last year’s Sno*Drift Rally was the history-making achievement of Traverse City, Michigan’s Travis and Terry Hanson piloting their Super Production (SP) 2007 Subaru WRX STI to an overall win. It was the first time an SP Class car won an event outright, which ultimately positioned them for a 2011 Rally America National Championship third-place overall finish. The Hansons will test their luck again in challenging the more powerful Open Class cars, but as everyone knows, the snow can be an equalizing factor giving anyone a chance for victory. The Two-Wheel Drive category is always fun to watch and has been exploding with top talent over the past few seasons and the 2012 Sno*Drift Rally will continue the trend. Chris Duplessis from Whitefield, NH, who recently competed in WRC Academy at Rally GB, returns with a rally-prepared 2012 Ford Fiesta R2. 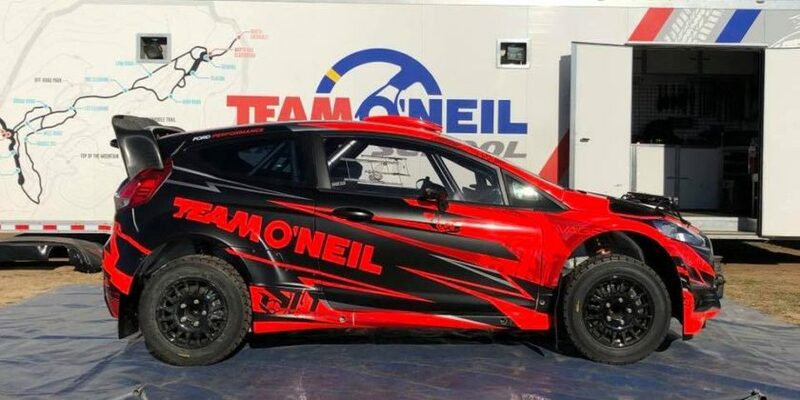 He faces strong challenges from television host and longtime Rally competitor, Andrew Comrie-Picard, who will be piloting a 2010 Scion xD, as well as 2009 Rally America Rookie of the year, Dillon Van Way from Carencro, LA, as he returns in his always-fast 2011 Ford Fiesta. The 2012 Rally America National Championship season opener will feature the entrance of a number of international competitors. Notably, Belgium Rally Champion, David Sterckx, will make his Rally America National Championship event debut driving a newly prepared SP Subaru WRX STI with co-driver Karen Jankowski. 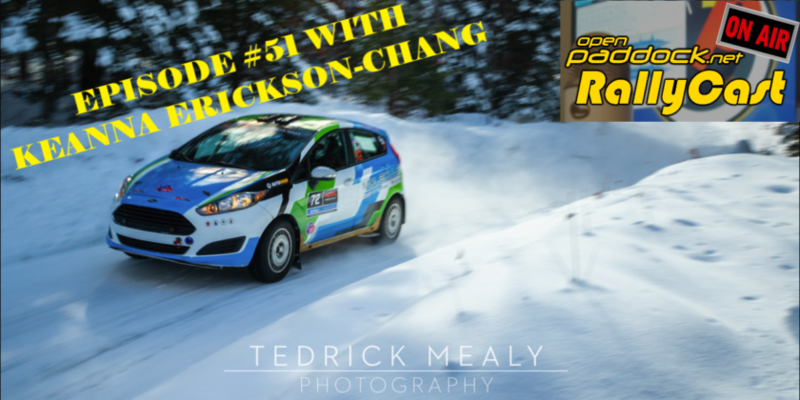 Chinese Championship driver, Tingwu Song, begins his full Rally America National Championship effort at Sno*Drift with co-driver Martin Brady in a 2009 Mitsubishi EVO X. Song first arrived on the American rally scene at the 2011 New England Forest Rally to test the waters. He placed as high as sixth in the Chinese Championship before shifting his attention to America. Fans attending the 2012 Sno*Drift Rally will have plenty of opportunities to meet their favorite drivers and watch the rally action on more than 120 miles of competition roads and at the fan-friendly Ralph Thayer Mazda sponsored Super Special stage which takes place in the afternoon on Saturday, January 28th in Lewiston, MI. 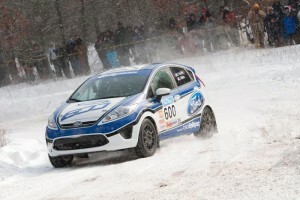 The Sno*Drift Rally begins in downtown Lewiston, MI on Friday, January 27, 2012 at the 1:00pm Parc Expose where spectators will have a chance to view the rally cars on display as well as meet and get autographs from the many drivers and co-drivers prior to the start of the event. Fans will be able to pick up complimentary spectator guides that provide driving instructions to nearby viewing areas. It’s the perfect starting place for a day full of rally competition and an adventure in the beautiful Michigan woods. The action continues in downtown Atlanta, MI at 8:00am, on Saturday, January 28, 2012, with another Parc Expose before heading to the Ralph Thayer Mazda Super Special Stage. The Super Special is a rally stage where spectators can watch all the rally action from start to finish from the comfort of one viewing location. The Super Special will be held at the Lewiston Sand & Gravel Pit located just off of Buttles Road – admission is just $5 per person. Due to limited on-site parking, organizers are providing free bus rides from the Atlanta, MI School and the Lewiston Ace Hardware store beginning at noon. Details of both opportunities are currently available on the event website: www.sno-drift.org. In addition to the Super Special planned for Saturday, the Sno*Drift Rally organizers are proud to announce the return of the Ralph Thayer Mazda-sponsored Sno*Attack 2-Wheel-Drive Class competition supporting grassroots rally competitors. The Top 5 overall two-wheel-drive finishers of the Ralph Thayer Mazda Sno*Attack competition have a chance to split over $5,000 in prize money. Detroit area auto dealer, Ralph Thayer Mazda, is a long-time supporter of regional rallycross events in the Detroit area and has stepped up their involvement in stage rally in recent years. More information regarding both the Super Special and the Ralph Thayer Max Attack two-wheel-drive competition can be found at www.sno-drift.org and www.thayerauto.com. Rally America will feature an online broadcast of the Sno*Drift Rally on www.rally-america.com beginning at 1:00 pm EST on Friday, January 27th. The free live-streaming broadcast will bring you live stage racing, driver interviews, results, and analysis. This marks the first time that Rally America will live stream a National Championship event. The organization believes the increased exposure will help grow the sport and give greater visibility to all National Championship events, drivers, and their sponsors. That is freaking awesome that the whole event is going to be streamed live. I went to SnoDrift back in ’06, and it was just fantastic. If you can’t be there in person, you really ought to be soaking this one in online.